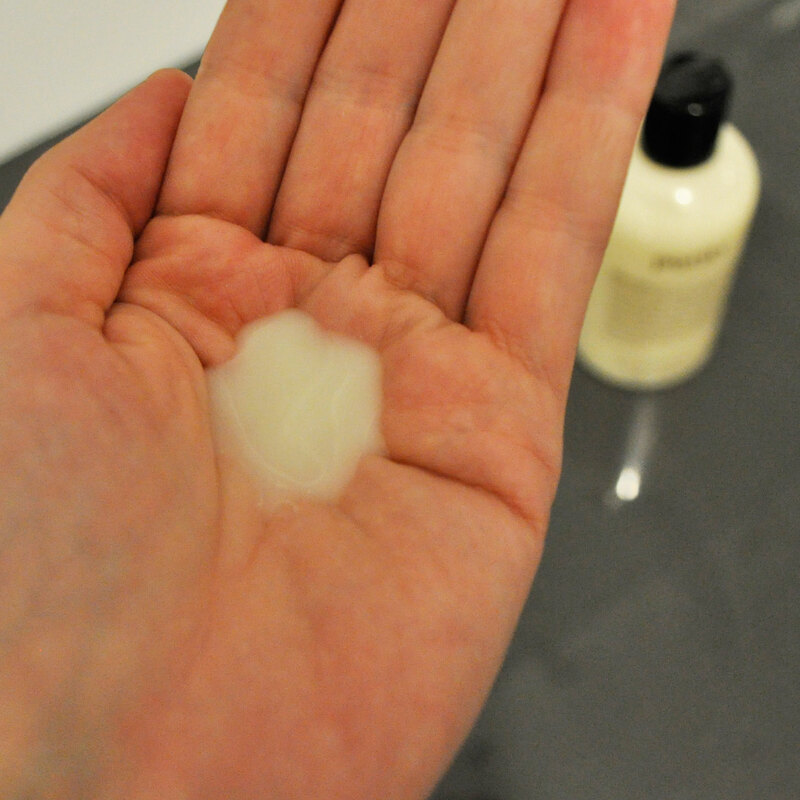 This 3-in-1 cleanser replaces your makeup remover, facial cleanser and toner. It is the perfect time saver product that is suitable for all skin types. I have been going heavy with my makeup this weekend to test drive this all in one gentle cleanser and I have been pretty happy with the outcome. I also used it to clean my makeup brushes today and it worked a charm, they are squeaky clean and I am most impressed! The clear plastic bottle has a flip cap and the design is modern and minimalist. It has a delicate mild herbal smell. It is a non foaming ivory coloured, creamy runny consistency. It is very easy to use on wet skin, simply squirt a small amount on the hands and then massage onto the skin for about 60 seconds. When I use it on a full face of makeup it struggles a little with my waterproof mascara however it does a great job at dissolving the rest. I have been loving using it early in the morning as a gentle cleanser, it leaves my face feeling smooth, supple and fresh. I definitely recommend it as it does not strip your skin, it feels very soothing and it contains natural oil extracts to help condition the skin. philosophy’s award-winning daily facial skin cleanser is formulated to gently cleanse, tone and melt away all face and eye makeup in one simple step, while lightly hydrating the skin. Long-standing fan of the Philosophy brand. It’s really good, I’m quite pleased with it. I love Philosophy! This cleanser is amazing as well as their exfoliator. If you want try a good perfume, their Pure Grace is amazing!!! Thank you so much Krissy, I’ll have to try it. Will it causes your skin to be too dry? I have combination oily skin so this works a treat on me, it doesn’t feel like it has stripped my skins natural oil at all. Great review! Philosophy doesn’t put out bad products. The whole Amazing Grace line stays in rotation in my house and Purity is one of my fav cleansers?? I love Philosophy, they have some amazing products, I’ll need to give this one a try.